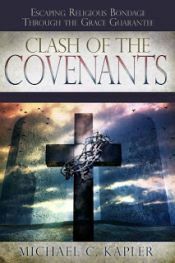 Part 4 in the series lays more foundation about the law and the Old Covenant and the many differences between the New Covenant which began after the death of Jesus. Most Christian teachings have assumed the commandments were meant to decrease sin, but we find just the opposite is true. It was designed to bring hopelessness and despair. Since fault was found with the people for not fulfilling their end of the agreement, God's grace and mercy would allow for the covenant to end, instead of punishing them for their sins.